Clipper has created a range of special infusions to suit certain moods or moments of the day. 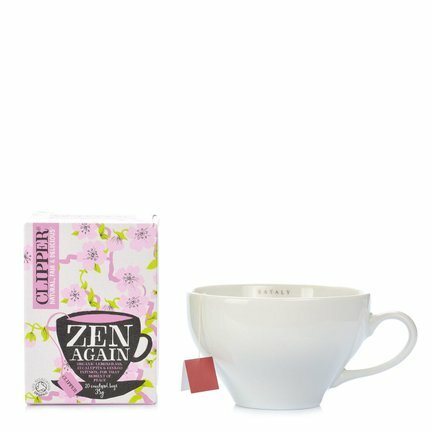 Clipper Zen Again Infusion is perfect for those moments of peace. Made with lemongrass, eucalyptus and ginkgo, all renowned for their relaxing properties. Ingredients lemongrass* (35%), nettle*, eucalyptus leaves* (20%), rose hip*, Ginkgo biloba leaves* (5%) For more information on product labels, please contact our Customer Service department. The information on the labels of the products may vary for reasons beyond our control, therefore, there may be discrepancies between the information on the site and that on the products delivered. Please always check the information on the product before consumption or use.